Everyone wants to be unique — to be different from everyone else. It is true that no two people are similar, but that is not to say that there aren’t similar people in the world. Being original is something that seems to be a lost quality these days. More and more, products are becoming regurgitations of things that came before them, lacking in any originality or creative process. It is because of this fact that custom products are so much more valuable than manufactured goods. Custom is as original as it gets. In this blog, we will talk about the benefits of owning custom items. 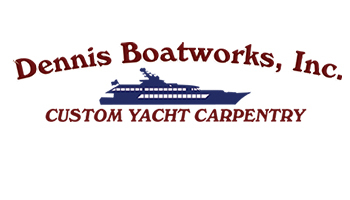 And, if you are interested in owning one-of-a-kind items, you should contact Dennis Boatworks. 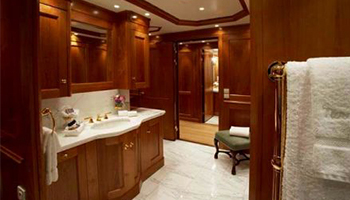 Our marine custom carpentry service has the ability to craft products for water vessels and yachts. Contact us today if you are interested in owning custom-made goods. It may seem obvious that custom items are valuable, due to being one-of-a-kind. When you commission a custom carpentry project, you can be sure that nothing will ever be created exactly like your piece. It is because of this fact, that custom items are so much more desirable, especially for marine vessels. In many cases, yachts are meant to be oasis’ from the tribulations of the mainland, which is why you would want it to look as aesthetically pleasing as possible. 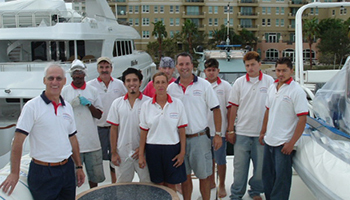 With original products, you can be sure that your vessel will look pristine and professional for as long as you own it. Quality and custom design go hand-in-hand. 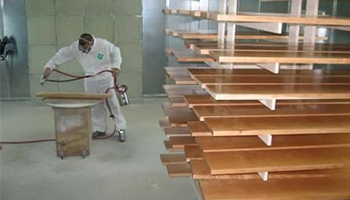 Custom carpentry focuses on detail above all else, and therefore, is exceptionally intricate. When you commission a marine custom carpentry project, you are ensuring that your products will be made with the ultimate attention to detail. And, if you contract with real professionals, you can rest assured that your finished project will be stunning and flawless. Custom products add value to your yacht. Just as adding special features to your home increase its value, the same principle can be applied to yachts and other vessels. If you would like to increase the aesthetic and monetary value of your yacht, commissioning specialty projects is the best way to do so. Why? As stated, custom products ensure a certain level of quality and individualism. That means that when you are ready to get rid of your yacht, it is most certainly original, as well as valuable. In Miami, we have the pleasure of viewing many different boats. Unfortunately, however, one model of vessel will look the same, no matter what ocean you sail on. Our custom marine carpentry gives you the opportunity to beautify your vessel to look unmistakably unique and spectacular. Best of all, our professional carpentry staff are able to ensure that your requests are followed by the deadline date we agree upon. That means we do our jobs right the first time, most importantly, on time. Contact us today if you are interested in our custom carpentry services. We look forward to hearing from you.